Kerala High Court Recruitment 2019: High Court of Kerala / highcourtofkerala.nic.in is conducting recruitment processes to fill 1 vacancy. As of now, there is one recruitment drive going on for Apply Online for Translator Post. 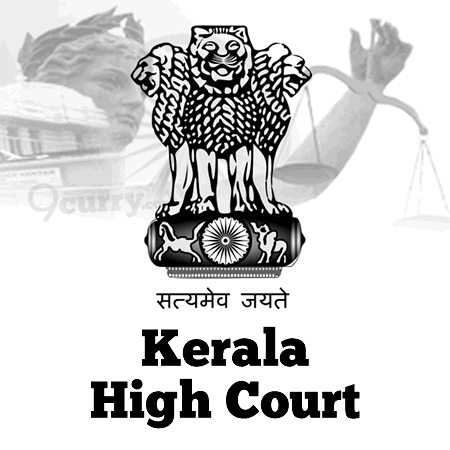 Kerala High Court Recruitment 2019 - Apply Online for Translator Post in Kerala High Court, Kerala on Direct Recruitment. Online Applications are invited by High Court of Kerala from 08 Apr 2019 to 02 May 2019 for 1 vacancy. Kerala High Court Recruitment 2019 - Apply Online for 45 Munsiff-Magistrate Posts in Kerala High Court, Kerala on Direct Recruitment. Online Applications are invited by High Court of Kerala from 04 Feb 2019 to 28 Feb 2019 for 45 vacancies. Kerala High Court Recruitment 2019 - Apply Online for 21 Research Assistant Posts in Kerala High Court, Kerala on Temporary Basis. Online Applications are invited by High Court of Kerala from 31 Jan 2019 to 25 Feb 2019 for 21 vacancies. Kerala High Court Recruitment 2018 - Apply Online for 38 Assistant Posts in Kerala High Court, Kerala. Online Applications are invited by High Court of Kerala from 26 Jul 2018 to 20 Aug 2018 for 38 vacancies. Kerala High Court Recruitment 2018 - Apply Online for Apply Online for Cook Post in Kerala High Court, Kerala on Direct Recruitment. Online Applications are invited by High Court of Kerala from 24 May 2018 to 22 Jun 2018 for 1 vacancy. Kerala High Court Recruitment 2018 - Apply Online for Sr. Technical Officer Post in Kerala High Court on Contract Basis. Online Applications are invited by High Court of Kerala from 26 Apr 2018 to 27 May 2018 for 1 vacancy. Kerala High Court Recruitment 2018 - Apply Online for Programmer Posts in Kerala High Court on Contract Basis. Online Applications are invited by High Court of Kerala from 09 Apr 2018 to 25 Apr 2018 for 3 vacancies. Kerala High Court 13 District and Sessions Judge Recruitment 2017 - Job notification for District and Sessions Judge Posts in Kerala. Online Applications are invited by High Court of Kerala 28 Nov 2017 to 27 Dec 2017 for 13 vacancies. Kerala Judicial Service Exam 2017 - Job notification for Kerala Judicial Service Exam 2017 - 41 Vacancies in Kerala on Regular Basis. Online Applications are invited by High Court of Kerala from 14 Nov 2017 to 13 Dec 2017 for 41 vacancies. Kerala High Court Electrician Recruitment 2017 - Job notification for Electrician Vacancy in Kerala High Court on Direct Recruitment. Online Applications are invited by High Court of Kerala on or before 09 Nov 2017.